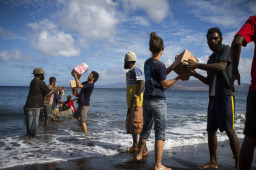 IsraAID operates in countries affected by war, natural disaster, acute poverty and massive displacement. It arrives during a crisis, facilitates a transition to development and sustainability, and then exits within 5 years. 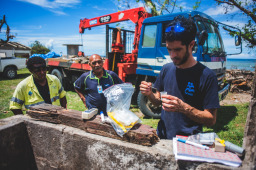 IsraAID’s activities focus on a combination of emergency relief aid and long-term development, integrated with education and advocacy in the developed world. 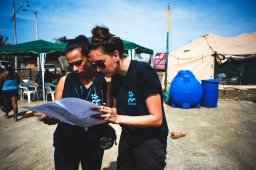 IsraAID’s operations are integrated responses that emphasize post-exit impact. 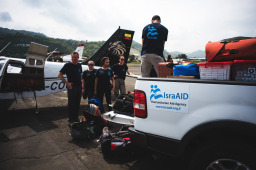 Since its inception in 2001, IsraAID has become synonymous with a rapid response to humanitarian crises. Its medical teams, search & rescue units, post trauma experts, community specialists and other Israeli professionals have led international relief teams in natural disasters and civil strife around the world. These have included assistance to victims of the 2004 tsunami in Sri Lanka, floods in Kenya, war in Georgia, earthquakes in Peru, Hurricane Katrina in the US, terror attack victims in India, communities devastated by cyclones in Myanmar and the Philippines, flooding in Pakistan, earthquake in Haiti, earthquake and tsunami in Japan, and most recently Hurricane Sandy in the USA.